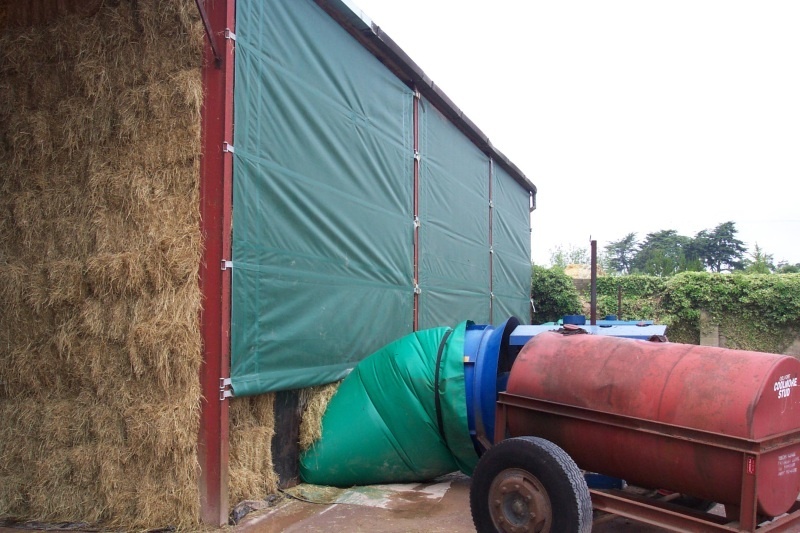 EasyFit WindBreakers are the ideal product to keep hay and straw dry during wet weather. 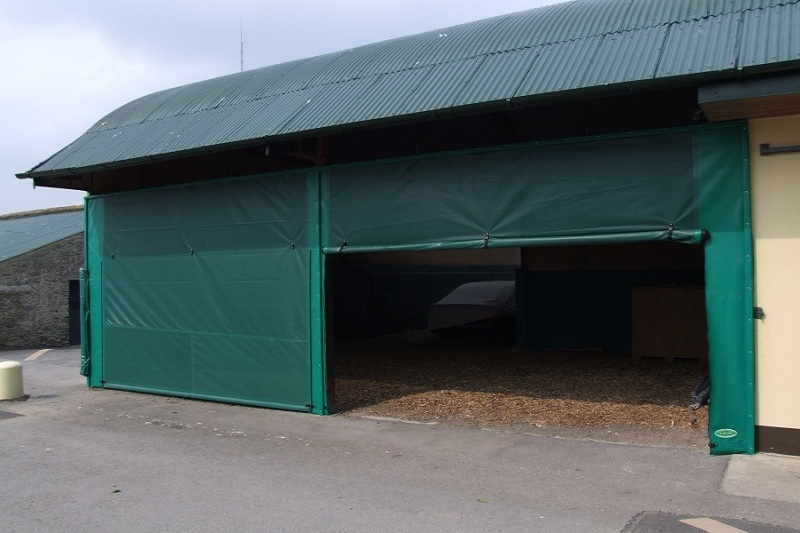 It also reduces wind velocity while still allowing ventilation for stock,thus keeping them healthy and maintaining low veterinary bills. In the recycling industry, keeping waste from blowing in to areas you do not want it to go can be a problem. 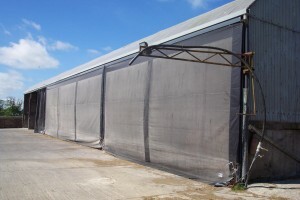 Windbreakers can help to contain waste and other materials. They can be used in a variety of industries. 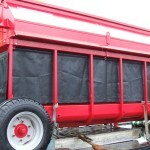 Fertiliser Spreader Cover saves time and money and gets the job done when its needed. One of the biggest enemies of granular fertiliser is moisture, and here in this country we have plenty of it, in the form of rain. 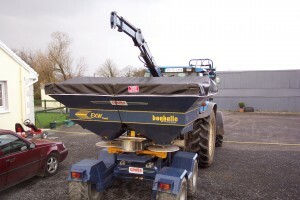 What happens when you are in the field spreading fertiliser and it begins to rain? 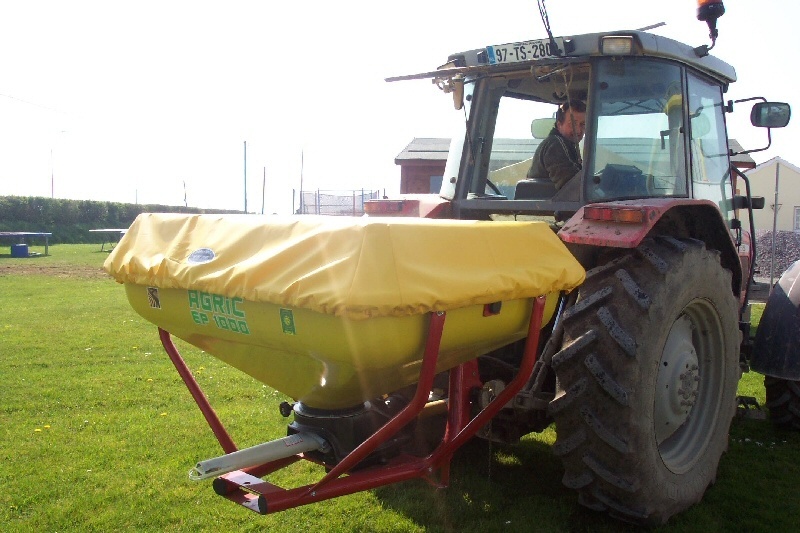 We make “made to measure” Fertiliser Spreader Covers which will keep your fertiliser dry and protected until the rain stops. These are heavy duty, easy to fit and just as easy to remove. For further details and price, call us or fill in the form on our contact page. Accidents happen and research shows that 75% of all farm accidents are related to tractors and farm machinery. 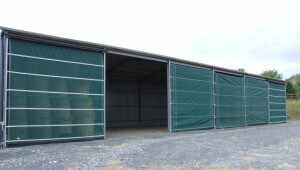 Approximately 2,000 injuries occur on Irish farms each year. Most accidents are preventable if practical safety measures are taken. 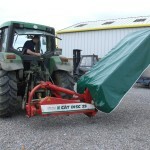 Mower covers are essential for safety of the operator of machinery. They are heavy duty and could save your life or others nearby the working machine. A cover also increases the resale value of the machine. Harvesting potatoes is time consuming and costly, so you need to do all you can to protect your produce. 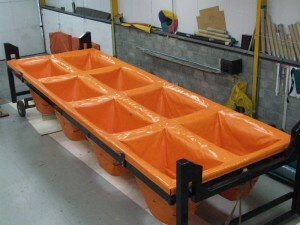 This potato harvester has a steel frame covered in a thick foam and recovered in a heavy duty waterproof PVC. This allows your produce to enter the box with as little damage as possible, saving you time and money. Please browse the site for more products and if you can’t find the product you want or require a custom made product then use our Contact Page to get in touch.